When pupils in Liberia returned to school in March after a six-month Ebola-enforced closure they thought they would be studying for the next eight months straight, making up for lost learning time. But on Friday they were sent home as the school year was brought to a close. This was in line with Education Minister George Werner’s announcement in June that the academic calendar was being reset in order to prepare for the next year and to ensure children wouldn’t have to attend school during the rainy season, when many areas of the country are inaccessible. The decision has left parents, teachers and students outraged. Martha Ernest, a mother of three school-aged children, agreed. But according to Werner, it’s a question of looking forward and providing the best possible education to students in years to come. Keeping schools open carries “the risk that desired learning outcomes in future years [would be] lowered irrecoverably, [just] to cater to the short-term learning deficit,” he said at a press conference last month. When schools reopened in March, most were not yet ready to receive students. Learning materials, including textbooks, had not been delivered and teachers had not received necessary training to run a full school year. 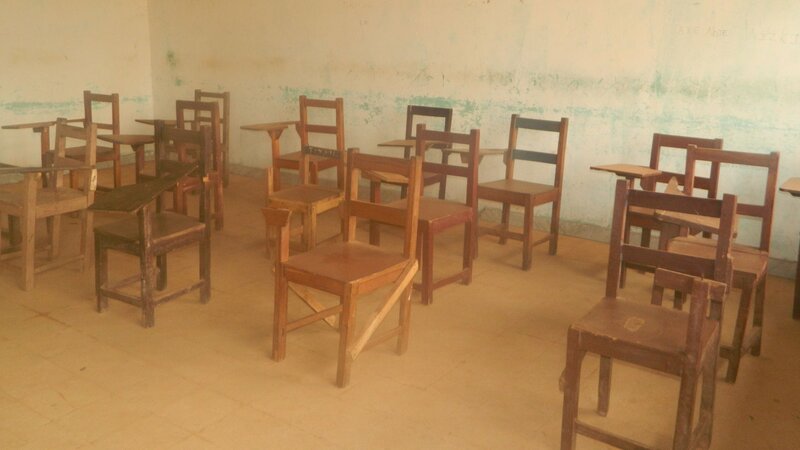 Earlier this month, there were rumors that President Ellen Johnson Sirleaf might reverse the ministry’s decision to end school on 31 July, but ultimately nothing was done. As a concession to students, the government announced that all students, besides those in grade 9 and 12 who have to take placement exams, would be eligible to be promoted to the following grade at the start of the next school year. But this has raised concerns over how larger grade 9 and 12 class sizes, with some students who have already received half a year’s education at that level and others who haven’t, will be accommodated. It is also not yet clear how schools will judge whether a student should be promoted, and for those that are, how they will make up lost learning time next year. Many also fear that corruption, in a system already known for its bribery, will become rifer as parents try to advance their children. “It is no exaggeration to say that education in our country is a mess,” Werner said, recognizing that there will be challenges ahead, not least because a third of primary school teachers in 2014 had no qualifications. The minister has some supporters. Voici une sélection d’articles de journaux et de recherches au sujet du monde humanitaire qui ont piqué l’intérêt des journalistes d’IRIN cette semaine.